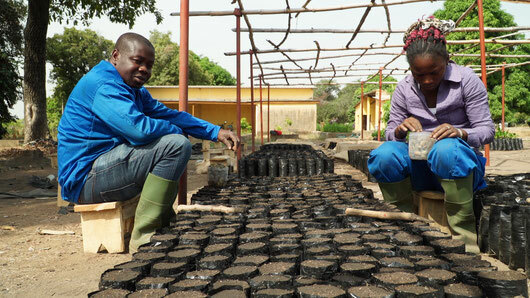 INNOVATIONS FOR AGRICULTURE IN WEST AFRICA - gfa-groups Webseite! Ever since I started my professional career in Benin 40 years ago, raising agricultural productivity in West Africa has remained a major challenge. At the time, organizational innovations imported from other parts of the world such as socialist-type production cooperatives or large-scale mechanization schemes often failed. In recent decades, agricultural productivity improvements could not keep pace with population growth and land degradation. The challenges today are compounded by climate change and pressure on natural resources. The food and agriculture system truly needs technological and institutional innovations to raise land and labor productivity along value chains. In this newsletter, GFA is showcasing two examples of successful innovations adopted by smallholders that have significantly increased farm productivity. 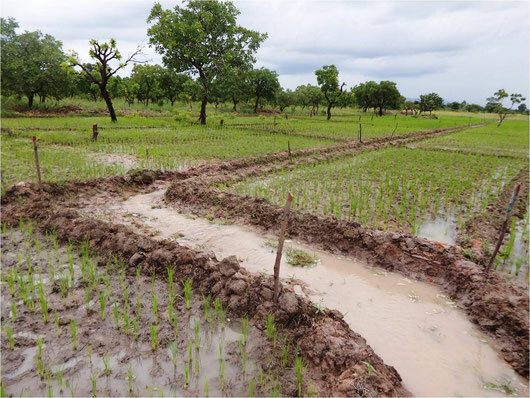 The Smart-Valleys approach used in Benin allows rice yields to double through improved water management as it is low-cost, fast to install by farmers themselves, and sustainable. 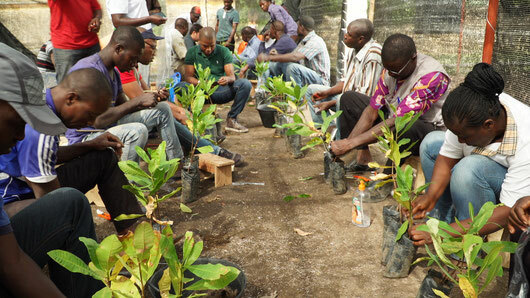 Introducing best-practice agronomic principles in cashew production in Ivory Coast has led to substantial productivity increases for farmers living in the proximity of a national park, which should reduce the pressure on natural resources. It is GFA’s vision to prioritize the development and implementation of adapted technological and institutional innovations for smallholders and value chains. This will lead to a more vibrant smallholder agriculture and agro-industry in West Africa, which will increase income and food supply, and reduce poverty. 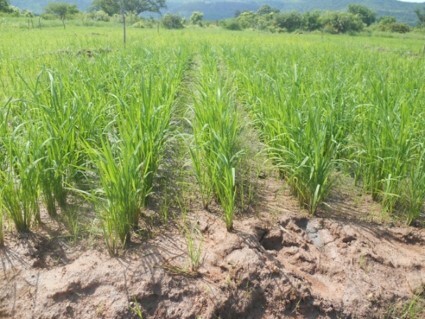 Agriculture in West Africa remains facing major challenges. Steady population growth reduces the availability of arable land. Exploitive and unsustainable production methods accelerate land degradation. Transformation technology often remains archaic and value chain development is poor. In addition, climate change impacts increase the risks of droughts, heavy winds, and irregular rainfalls. These alarming developments do not only endanger the livelihoods of thousands of smallholders but also increase the human pressure on natural resources in particularly vulnerable areas such as national parks. 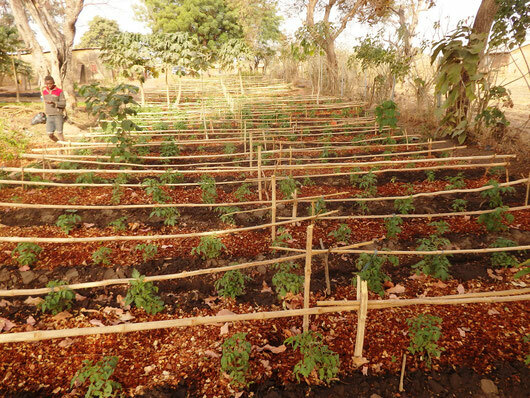 The two agricultural projects implemented by GFA in West Africa, PACC in Benin and PROFIAB II in Ivory Coast, support local stakeholders with innovative approaches to meet these challenges by strengthening the resilience to climate change and increasing incomes from agricultural production. Both projects do not only seek to improve the livelihoods of farmers but also aim at decreasing the pressure on the natural resources of the Taï and Comoé National Parks in Ivory Coast and the Pendjari National Park in Benin. The Adaptation to Climate Change in the North of Benin (PACC) project started in September 2014 and will last until November 2019. It is funded by the Energy and Climate Fund and implemented by GFA on behalf of GIZ. The project’s overall objective is to improve the adaptation of agriculture to climate change by a sustainable management of natural resources, notably of soil and rainwater. PACC operates in three municipalities in Northern Benin, Matéri, Kérou and Tanguiéta, where nine micro-watersheds have been selected as intervention areas. The Development of the Taï and Comoé Nature Conservation and Economic Areas (PROFIAB II) project of GIZ has been implemented by GFA since May 2016. The project focuses on linking value chain promotion in the peripheral areas of the two national parks Taï and Comoé with simultaneous support to improve the protection of both parks. The approach of the project aims at increasing the competitiveness of cocoa, palm oil, cashew and manioc value chains, and at the promotion of small producers, women and young people through the creation of jobs and additional income in order to achieve pro-poor growth. PACC is based on the watershed approach, a geographical approach encompassing all natural resources of a watershed and going beyond formal administrative boundaries. The approach has an integrated perspective as a watershed includes all natural resources such as water, soil, forests, etc., but also human activities, and numerous interdependencies between them. It makes communities aware that they belong to the same geographical unit and that upstream actions in a river basin can have repercussions downstream, and vice versa. Adapting agriculture to climate change based on a watershed approach is a process that begins with the identification of watersheds, sub-watersheds or micro-watersheds as intervention area. 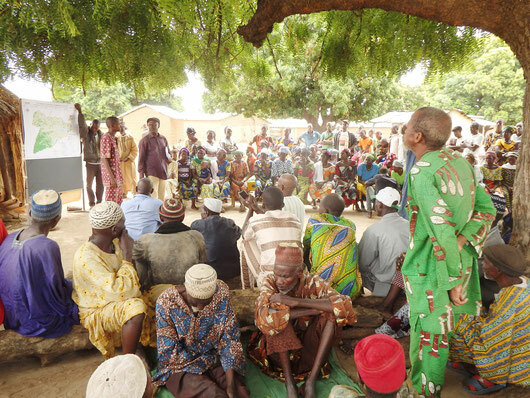 Subsequently, a participatory diagnostic is conducted with local stakeholders in each watershed to identify existing climate hazards and their impact on agriculture together. Moreover, existing as well as potential future adaptation measures are identified. These adaptation measures are then examined by technical experts and translated into technically feasible and bankable projects. As a final step, the measures identified are integrated into municipal planning processes, and local actors are supported with mobilizing internal and external funds for implementing activities. By strengthening the capacities of actors at the commune level, decentralized government services and farmers’ organizations, PACC has been creating the necessary conditions for the development, management and sustainability of climate change adaptation measures. In this sense, PACC has been supporting 13 municipalities of the Atakora Department to integrate the adaptation of agriculture to climate change in the municipalities’ five-year development plans. Moreover, the project has made sure that specific climate change adaptation measures identified during the participatory diagnostic at the watershed-level are integrated in the municipalities’ annual investment plans. PACC has been supporting municipalities in investment planning and advocacy for the mobilization of funding for adaptation measures. Supported by the project, the three partner municipalities as well as local NGOs and farmer organizations have been able to mobilize more than 450,000 euros by now for implementing the climate change adaptation measures identified. The funds are provided by development organizations such as KfW, UNDP, national and local funds, and private actors. PACC also uses its funds to demonstrate the broad range of available adaptation measures. For example, the project has facilitated the introduction of new cultures and varieties such as mung bean, rice IR 841, soy TGX-1910, and different vegetables. The latter are more resilient to drought, heat and irregular rainfalls than other crops. 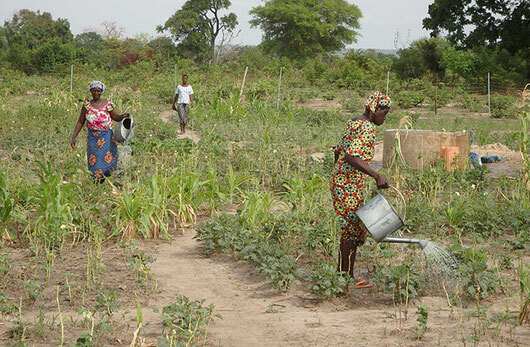 In addition, the project has been training eleven women groups in sustainable gardening techniques, and protected 20 hectares of gardens with fences. Three of the gardens were also equipped with solar powered irrigation systems. Furthermore, the project has been strengthening beekeeping in the region. By installing beehives in vulnerable areas like forests and ponds, incidents such as fires and excessive tree cutting have diminished significantly. The inoculation of soya plants and various soil and water conservation techniques are other adaptation measures promoted. Moreover, the plantation of 30,000 drought resilient trees has been supported, and the Smart-Valleys approach has been successfully tested in nine different lowland areas. 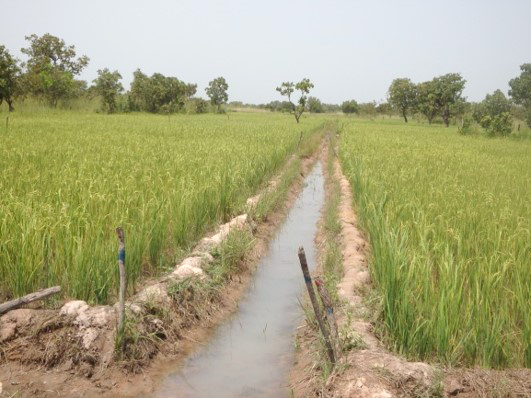 The latter allows for significantly increased rice yields by improved water management on rice production sites. The standardization of the procedures developed by PACC allows other stakeholders to identify the needs and potential for agricultural adaptation measures to climate change. The creation of a toolbox and the organization of exchange visits and demonstration sessions at two innovation centers facilitate a wide dissemination of best adaptation practices. At the innovation centres, new techniques have been tested and demonstrated to farmers, extension officers, NGOs and others. More than a thousand people have been visiting each centre every year. The centres do not only provide various trainings but also multiply and distribute seeds of climate change resilient varieties to local farmers. 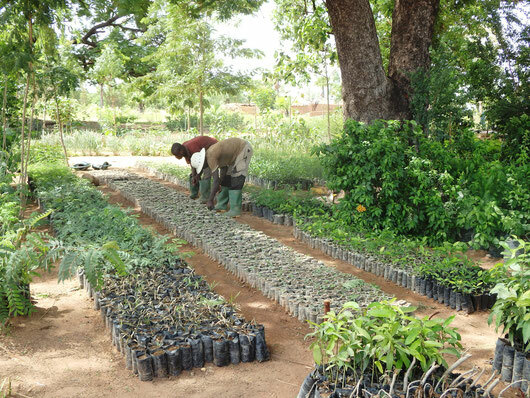 Each centre has been producing and distributing more than 100,000 trees annually. Swiss radio radiofr has broadcast a podcast on one of them. Tchatti Zénabou and her group are ready. 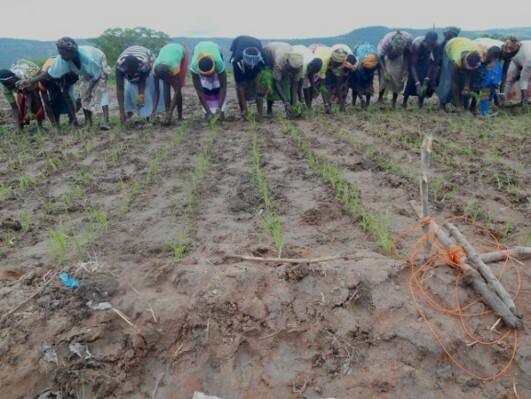 “This year, we will increase the production area once again.” The 46-year-old mother of seven is part of a group of twenty women and one man that produce rice in the lowlands near the Boutoupingou village of Matéri municipality. 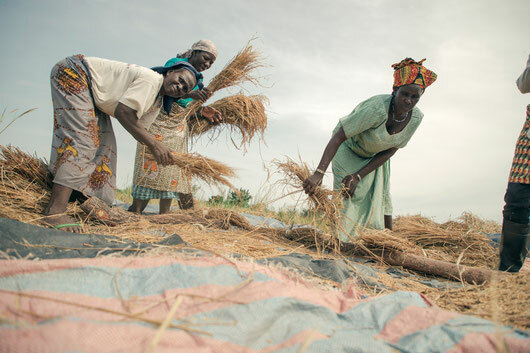 Almost all women in Tchatti’s village in Northern Benin produce rice, which is traditionally women’s work. The rice production in the lowlands depends on the availability of rainwater and is, therefore, limited to the few months between the first rainfalls in June and the end of the rainy season in October. 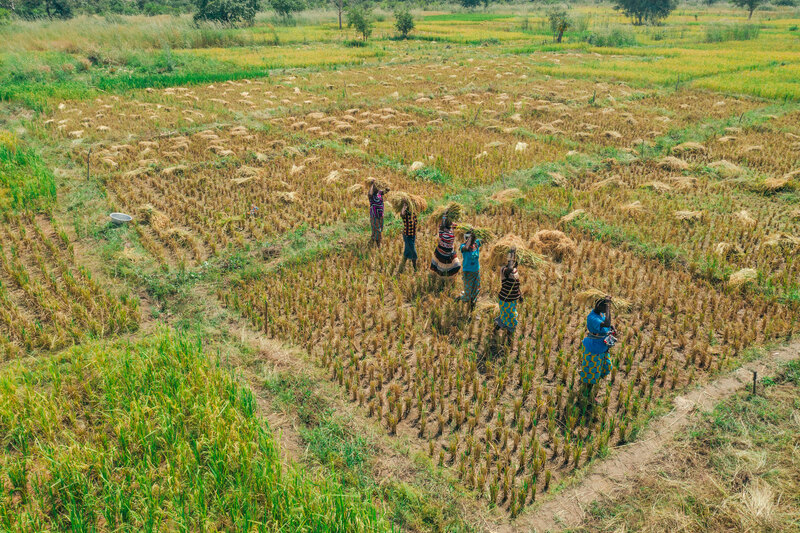 Climate change increases the irregularity of the rainfalls, Tchatti explains, “The rains are becoming more and more unpredictable, and are very violent.” The change of seasonal patterns is a serious risk for the archaic rice production. But for Tchatti and the other village women much has changed since 2016, when the first PACC trainer came to her village to experiment the Smart-Valleys approach with them. “In former times, each of us used to produce rice all alone, each on her side of the lowland. Yields were very low and we always had problems with water,” says Tchatti, “but in the past two years, we harvested more than ever!” When the women of Boutoupingou are asked to explain the good yields, the collective answer is that the Smart-Valleys approach has changed almost all their cultivation practices. At the beginning of the project, the women in cooperation with the trainer analyzed the water flow in the lowland. By using wooden stakes of different colours, they marked water passages, elevations in the ground and areas with high current during the rainy season. This delimitation served as a construction plan for the installation of canals, dams and small squares for the plantation of the rice. Helped by their husbands and children, the women collectively installed a system of canals and squares on an area of initially two hectares. This infrastructure permits active water management in the lowlands, which reduces the vulnerability of rice production to the increased irregularity of rainfalls. 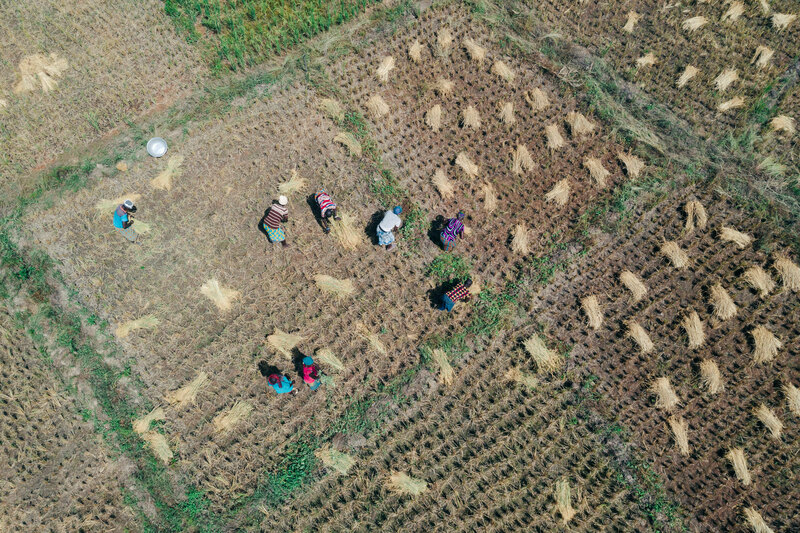 During a drought or dry phase and after the plants have been fertilized, Tchatti and the other members of the group close the dams to keep water and fertilizer in the squares. The trainer also demonstrated when and where to open the dams to quickly evacuate water from the production squares after a heavy rainfall. He explained to the group how to set up a nursery for the rice, how to transplant the rice plants from the nursery in lines into the squares, and how to fertilize the plants. All these techniques enabled Tchatti and her group to harvest on average 4 t/ha. This is a significant yield increase compared to traditional production methods that generate only about 1.5 t/ha. Other groups supported by PACC even harvested 6 t/ha in 2017 after the application of the Smart-Valleys approach. For PACC, the implementation costs for a Smart -Valley were low. 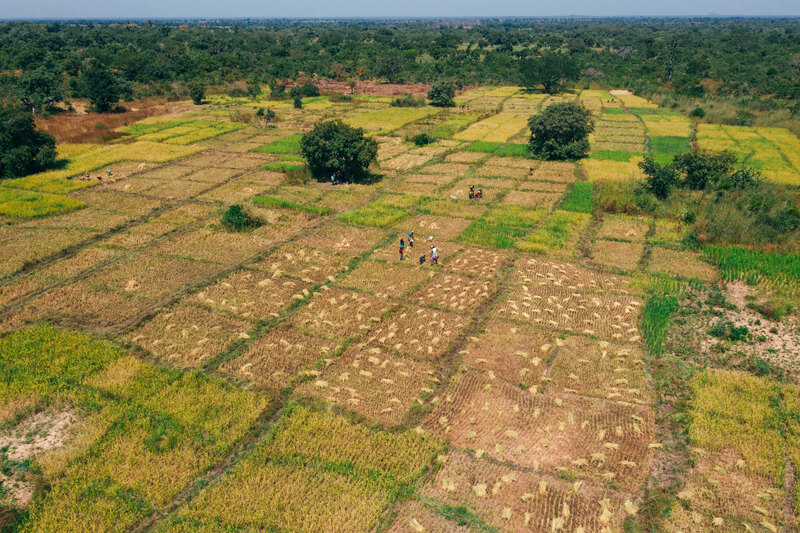 The project provided a trainer who ensured that the technical itinerary was respected and supplied improved rice varieties such as NERICA L20 or IR-841, and fertilizers such as NPK and urea in the first two years. Implementation costs of 1,150 euros per hectare in the first year are much lower than more frequently applied development approaches in which up to 5,350 euros per hectare are spent for the construction of large-scale water management infrastructure using heavy machineries and expensive technicians. PACC increased the number of women groups implementing the Smart-Valley approach from one pilot group in 2016 to nine in 2018. Other development organizations such as ENABEL and GIZ projects are interested in the technique as well. For 2019, the ProAgri project of GIZ will co-finance the dissemination of the Smart-Valley approach aiming at more than doubling the number of women groups benefiting from training on this approach. Tchatti sees the success from a different perspective. “Our group is growing every year. Even my husband wants to become part of it!” Asked about the preparation for the 2019 season, she smiles, “Il n’y a pas de problèmes.” The women of Boutoupingou are impatiently waiting for the rain to reactivate their Smart-Valley. GFA has been implementing the PROFIAB II project on behalf of GIZ since 2013. It focuses on the protection and conservation of the two main national protected areas of the country, the Taï National Park and the Comoé National Park, two of West Africa’s largest forests. Both national parks have gained international recognition as they have been designated as biosphere reserves and World Natural Heritage sites. Therefore, the project first supported the park management authorities in improving their management efficiency and capacity to cooperate with the population adjacent to the parks. Moreover, the competitiveness of selected value chains and small-scale farmers, especially women and youth, is to be increased by creating employment and income in order to achieve pro-poor growth. For each region, one cash crop and one food crop were selected: cocoa and cassava around the Taï National Park, and cashew and onion around the Comoé National Park. Strong links have been established between value chain development and ecological sustainability. GFA experts introduced technologies that protect the environment and promote biodiversity in the production, processing and marketing of goods for local, domestic and export markets. Major services provided by GFA have focused on developing and rooting innovative methods and approaches in various stages of the four value chains. 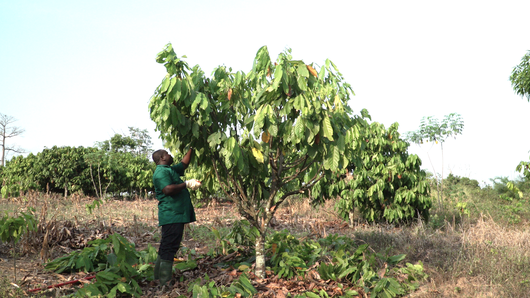 In the cashew sector in particular, GFA has made a special breakthrough by introducing innovative techniques and methods regarding production and transformation. For example, improved planting patterns and new pruning methods raised the productivity significantly, and tofu-like products from cashew by-products (apple) are being introduced as nutritive element in traditional meals. As a follow-up, Pan-African study tours and trainings have involved twelve African countries that are now copying and testing these innovations. Furthermore, the quality and quantity of agricultural extension services provided by the state, private institutions and farmer cooperatives have been strengthened to ensure the dissemination of the innovative methods introduced. If you want to subscribe to our newsletter, please click here.